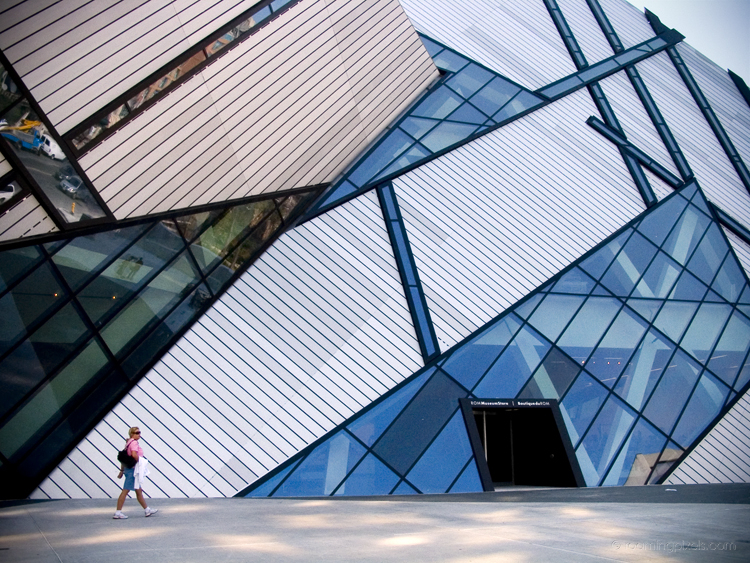 This modern part of the Royal Ontario Museum, called the crystal, was designed by Michael Lee-Chin. Cool structure. The woman adds a sense of scale. It reminds me a bit of the Seattle public library. Nice capture! What a lot to look at – you caught a great cross-section, nicely framed.